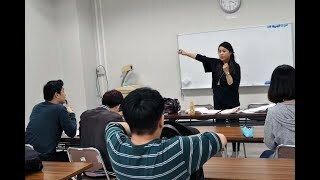 International students can take Supplementary Courses to deepen their knowledge about Japan and Japanese language. What have you learned in your Japanese classes? I have learned many things in my Japanese classes, such as expression, slang, kanji, and Japanese culture. These skills help me to live in Japan, to understand Japanese culture better, and help me understand the things I should and shouldn’t do in Japanese culture. So, I’m very glad I have taken these classes. Are these classes helpful to you and why? This classes is important for me because I want to work in a Japanese company, which will require Japanese skills. I want to improve my language skills through these classes so that I can work in a Japanese company in the future. What goal have you set for studying Japanese? First, I want to pass the highest level of the JLPT (Japanese Language Proficiency Test), so that I can apply to a Japanese company or become a guide or translator.